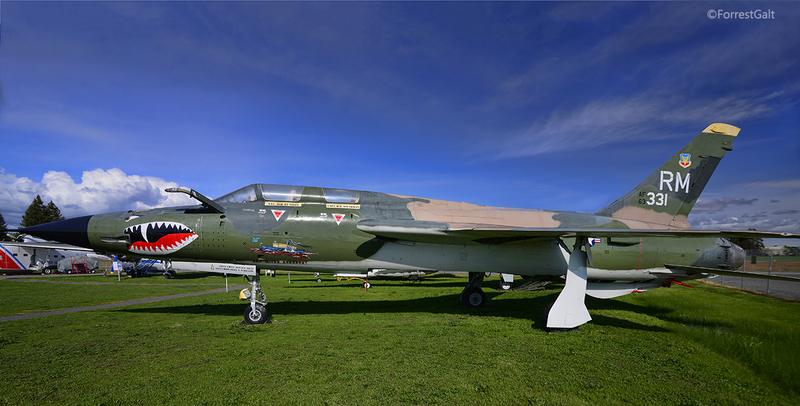 Our F-105F Thunderchief is a two-seater, of the type used by Wild Weasel squadrons in Vietnam that attacked and destroyed the radars that guided enemy antiaircraft guns and missiles. 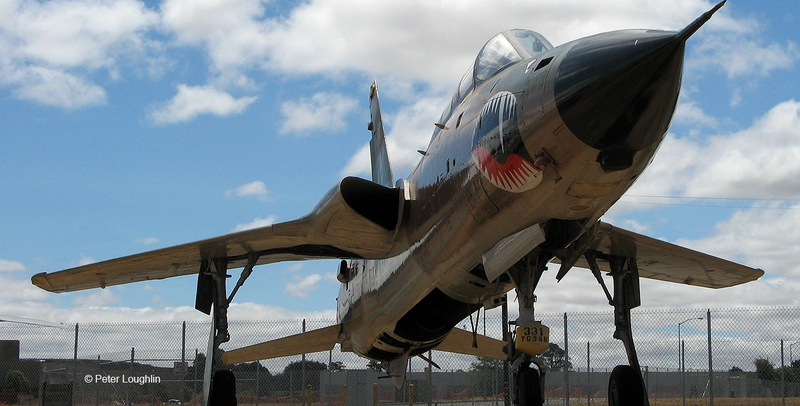 The F-105 was designed as a tactical fighter-bomber that could carry conventional and nuclear weapons. It's a menacing-looking Cold War warrior. The F-105 had an internal bomb bay and could carry bombs on external pylons. It was also armed with a 20mm revolving cannon. 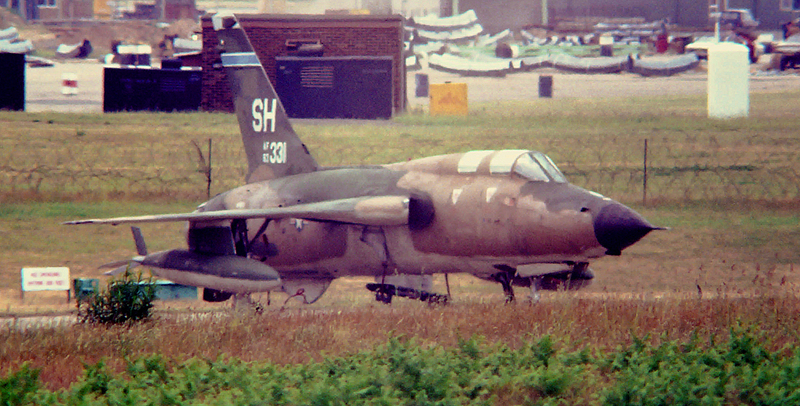 The Thunderchief was widely used in Vietnam, and conducted a huge number of bombing raids. Many were lost to enemy fire. 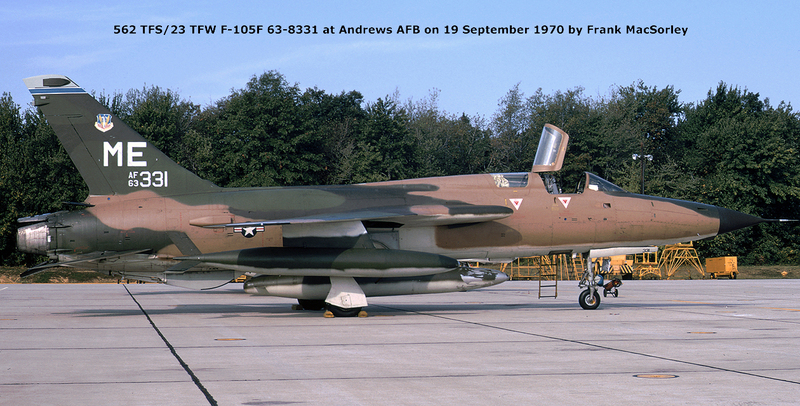 Photographed on September 19, 1970, this is our F-105F at Andrews Air Force Base. Photo by Frank MacSorley. 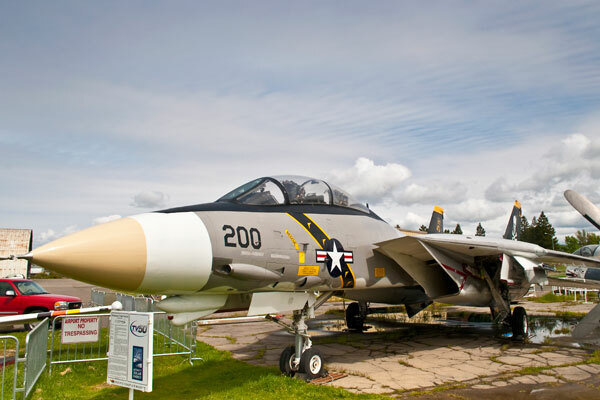 This is the Museum's Thunderchief when deployed to Lakenheath, England. Photo taken June 18, 1978. Photo courtesy Dave Tompkins. 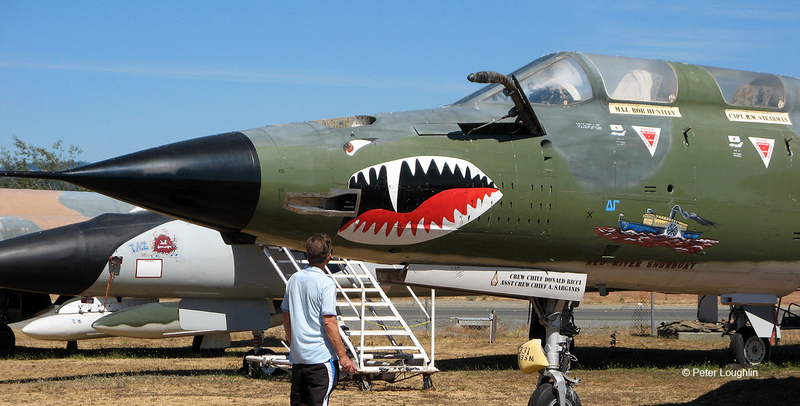 The F-105 Thunderchief was developed by Republic Aviation as a follow on to their F-84F Thunderstreak. 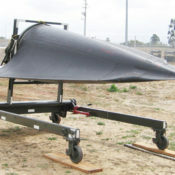 A higher-performance fighter-bomber was envisioned and following a proposal to the USAF, a contract for two YF-105A prototypes was awarded. First flying in 1955, the aircraft was very large and could carry a huge complement of weapons. 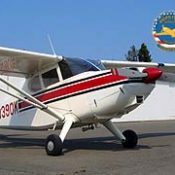 The type entered service in August 1958 and continually evolved with new engines and performance levels. 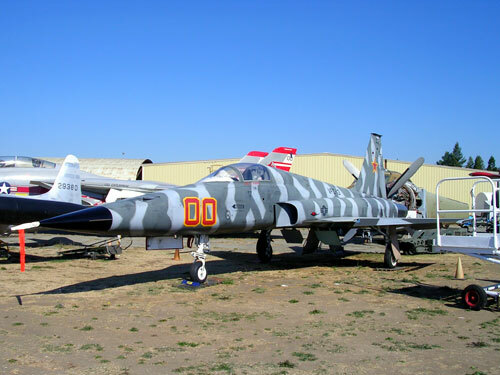 The final production version of the Thunderchief was the F-105F which was a stretched version with two seat capability. 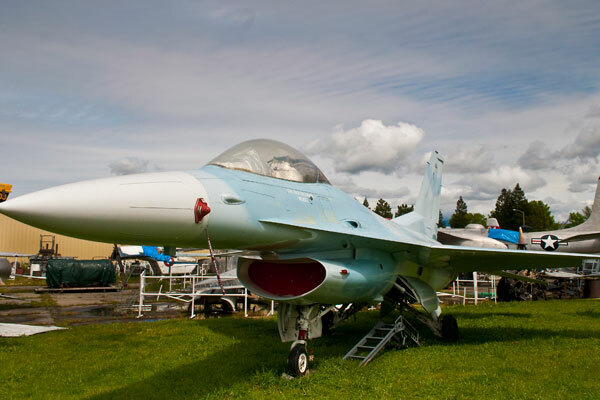 Outfitted with Radar Homing and Warning (RHAW) electronics, jamming pods, a missile-launch warning receiver and other avionics, the "Wild Weasel" version of the aircraft served in Vietnam beginning in 1966. 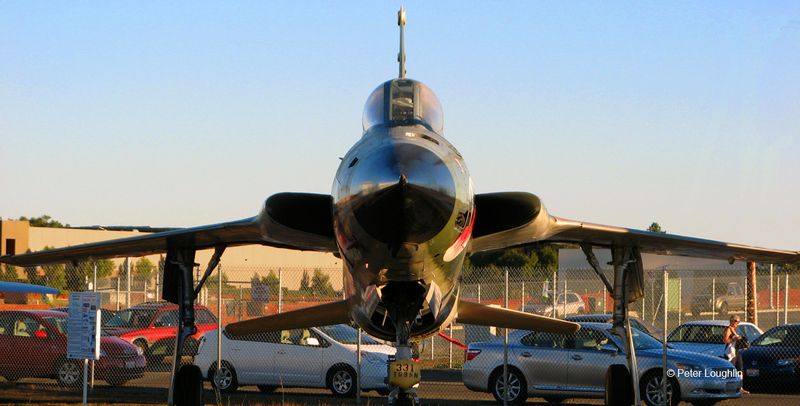 The F-105s continued in active service until 1973 and then in the Air National Guard until retired. 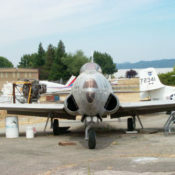 The history of our aircraft is being researched and will be added to this site when available.